Today I turn my census-driven attention to the French – a population of particular importance in Louisiana. Louisiana owes much of her culture, her food, and her style to the French blood which runs through the byways and bayous of the state. 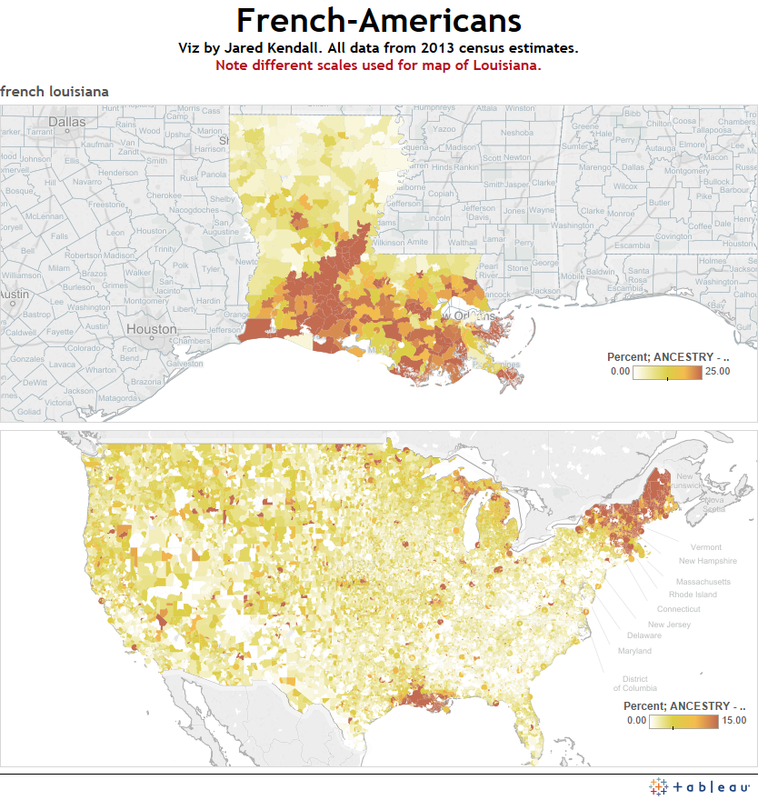 While it’s no secret that Louisiana has a large number of French-descended residents, seeing the distribution mapped out (and seeing it nationally) is fascinating. I’ll continue this series, looking at more of the heritage of American immigration. The dataset I’m working with, the 2013 census estimations, has some glaring oversights, however: It doesn’t include data on native Americans, african-Americans (except for sub-saharan Africans), or Hispanics. 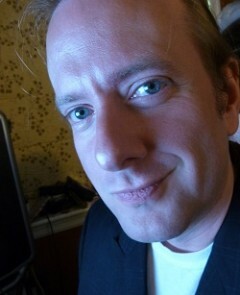 I’ll need to get data for those groups elsewhere, so that I can include them in the project. For whatever reason, this particular dataset seems to have a strong focus on European immigration. Still, given that many of the folks voicing strong opinions during the current immigration debate are of European descent, perhaps this oversight isn’t a lethal one. Aside from native Americans, we all came from somewhere else. These maps and this data helps to show precisely where we came from, and where we ended up.